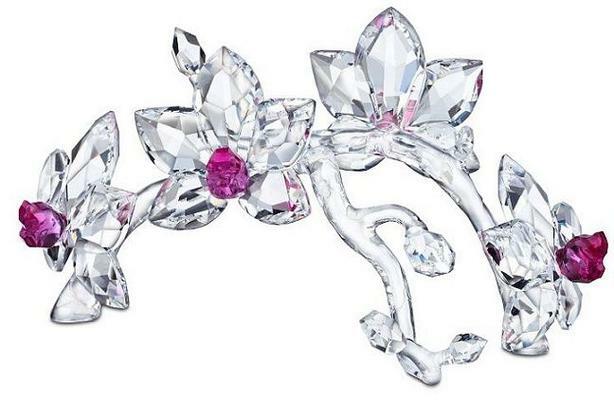 This retired Swarovski silver crystal orchids were part of the "In the Secret Garden" collection. The beautiful exotic orchid comes in over 20,000 species. These four fully faceted clear crystal orchid blossoms have trendy and bright Fuchsia Rain crystal centres and a gently stand on an unfaceted stem.